The Analyzt: India on path to another humiliation? India on path to another humiliation? For the past few days, the Indian Govt. is embarking on jingoistic propaganda about the success of operation in Myanmar. As had mentioned in my previous post, whenever there is a big news in the media we have to look into things that the news what to distract us from. This may not be far from the truth. China calls Pakistan its "Iron Friend" and Pakistan views China as its all-weather friend. Since 1962, China hasn't gone to war with any country. However, it often flexes its military muscles to subdue smaller countries. China may not enter into war for its allies as was demonstrated during the Kargil war of 1999. However, the same cannot be said about Pakistan. Pakistan, is conventionally unmatched in its military prowess against India. Hence, it is unlikely that it would pass an opportunity should it show up. 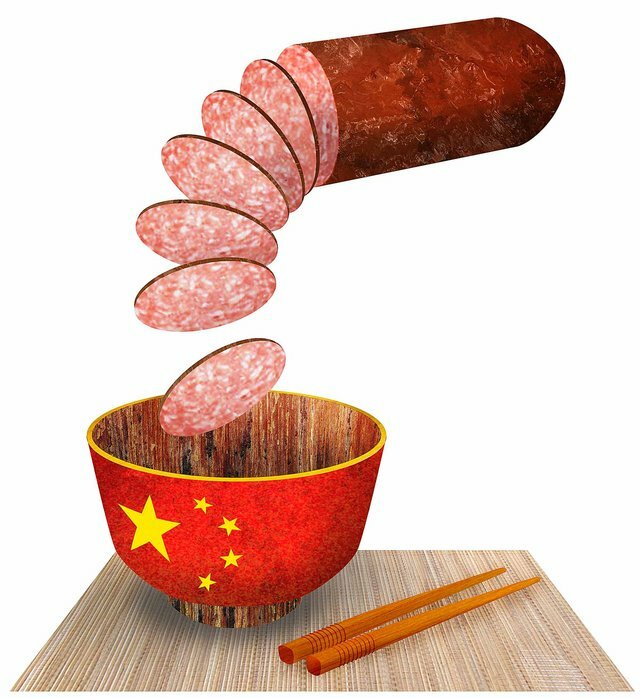 Though China is adopting "salami slicing" to encroach on Indian territories it is only a matter of time before the Indian public notices, when the Govt. would be forced by public pressure to defend its territories. In such conditions, Pakistan would likely capitalize on the situation as majority of the Indian troops would be deployed against China leaving India's Western regions vulnerable. The objective of the "Two-front war" doctrine to develop and deploy armed forces to simultaneously counter attacks on multiple fronts (East and West). The Mountain corps officially christened as 17 Corps was raised particularly to counter China-threat. However, recently, the Govt. has decided to reduce the strength of 17 Corps just before Mr. Modi's visit to China making one to think if this step was some sort of gift to China. If it is so, then this could only be construed as ceding Indian regions over to China. The sanctioned size of Indian Air Force is 39.5 squadrons with a healthy strength of about 44 squadrons. However, this strength was achieved only in the mid 1980s. This led to the MMRCA competition to buy 126 aircrafts from the winner of the competition (Rafale). However, this program is cut short, in the name of fund crunch. In May 2015, the press release by the CAG slammed the Army Head Quarters for acquiring ammunitions based on 'Minimum Acceptable Risk Level' (MARL), which corresponds to 20 days of intense period. This is in total disregard to authorized 'War Wastage Reserve' i.e. 40 days of intense period. It adds that MARL guidelines were also disregarded and 50% of the 175 types of ammunitions are "critical" i.e., could last only for 10 days of intense fighting or less. Apparently, this was already stated by Gen. V. K. Singh, 3 years ago. However, as usual, Mr. Rajnath Singh has denied that India's war preparedness is at stake. Similar sentiments were expressed by the recent article in 'The Hindu' on Army's failure to acquire the required small arms. However, what is more interesting is that neither the previous UPA nor the jingoistic NDA is in any hurry to meet the dismal shortages in war reserves! In 2014, it was reported that the infrastructure along the border was in a dismal state reflecting high disparity between the preparedness on either side of Line of Actual Control (LAC). The only good news with the new NDA is the apparent emphasis of Mr. Modi to the border infrastructure projects. However, its anyone's guess on how much is accomplished on reality rather than on the paper, given Mr. Modi's penchant for publicity. On path to another humiliation? None of these deficiencies, by itself, would warrant an outcry among the Indian public who are inured by the bureaucracy and corruption in India. However, when these deficiencies are taken together, should warrant a public mobilization as it directly affects the security of nation. It seems Mr. Modi is not much different from UPA, in its neglect towards India's war preparedness. This is in spit of the fact that he was the most vociferous opponent of UPA for its soft-approach towards China. At that time UPA was blamed for lacking in strategic culture and many analyzts were hoping NDA would be any different. However, the problem lies not just with the Govt. and politicians. It seems even the army top brass is negligent and corrupt, as indicated by the article in 'The Hindu'. Such continued and systematic neglect and weakening of the India's war capabilities makes one suspect if India is preparing the grounds to handover its territories to China and Pakistan.